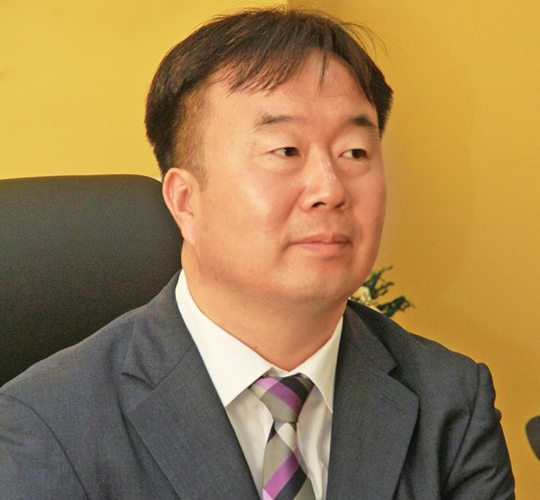 The Director General of the EPS Center of HRD Korea in Sri Lanka, Kwak Hunjong has urged Sri Lankans who have returned from Korea to claim their return cost insurance and departure expired insurance(Thwejukum) from the EPS center in Battaramulla by producing the relevant documents if they had already not claimed these insurance schemes. Addressing a media briefing held in Battaramulla yesterday, he said that Sri Lanka’s Foreign Employment Bureau’s website had published 400 names of returnees from Korea who have not claimed these insurance payments. He further said that many returnees have changed their addresses and contact numbers, while the EPS Center was unable to contact them. I have a responsibility to inform and help them get this payment for their hard work they had done in Korea. He further said that the workers who had been employed for more than one consecutive year at the same place of employment in Korea, would be eligible for the application of departure guarantee insurance, while others who had worked for more than three years are eligible to apply for dormant insurance category. Once migrant worker depart Korea, he or she are eligible for the application of the return cost insurance. He said that EPS (employment permit system) is a unique system launched by Korea, where foreign workers from 16 other countries are introduced to Korea for employment. In Sri Lanka, EPS was initiated in 2014 after signing a MoU between the two countries. The total number of Sri Lankans departed to Korea under the EPS had exceeded 58,000 and consists of approximately 44,975, more than 13,000 of re-entry workers at the end of April, 2018. Sri Lanka Foreign Employment Bureau Deputy General Manager, D.D.P. Senanayake said that the Bureau receives nearly 25,000 applications for the Korean entry exam, as it is held in a transparent manner. Applicants should undergo a point system exam, competency test and skills test. He said that Sri Lankans who go to Korea, could work for four years and 10 months and with the approval of the employer, he or she could work another four years and 10 months after a break of three months. There are 25,000 Sri Lankans working legally in Korea, while around 3,000 are believed to be working illegally. We send all workers after the signing of bonds. These illegal workers have been informed to return to Sri Lanka by the Bureau, or, legal action would be taken against them and we have already sent Letter of Demand to 1,000 illegal workers,” he added.